A real conversation piece, the gorgeous chenille plant blooms on and off all year with rich red clusters of soft, pendulous flowers. Chenille is a thick soft yarn used to make tufted trim cords or woven into fabric. It's also the French word for caterpillar. Both these meanings perfectly describe this plant's blossoms. The incredible flowers (called "catkins") can reach as much as 18 inches in length, so velvety soft that you'll want to pet them. 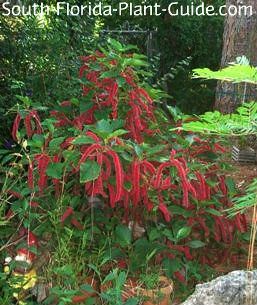 Unique and frankly adorable, the chenille is a valuable landscape asset for partial shade, the environment in which it seems to do best, where it will bring bright red color to a shadier area. These make great accents or even hedge plants for a tropical style or cottage garden landscape design. 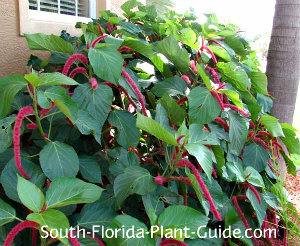 There is a groundcover variety of chenille - with smaller tufts of red flowers - known as "Kitten Tails." These red flowering shrubs are fast growers you can keep 3 to 4 feet tall. They blossom all year, more in warmer months. They're tropical in nature and do well in Zone 10. You can keep a chenille plant in a container in Zone 9B and bring it inside during winter's cold snaps. Place this shrub out of range of strong winds. It's evergreen but can thin out in a cold winter. Chenilles prefer a part sun to part shade location...ideally with early morning sunshine and shade or filtered light in the afternoon. Add top soil or organic peat moss to the hole when you plant. You can also add in composted cow manure to enrich the soil. If needed, trim the plant back a bit after each bloom cycle. 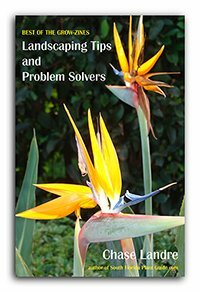 You can do a hard pruning in spring (late March or early April). 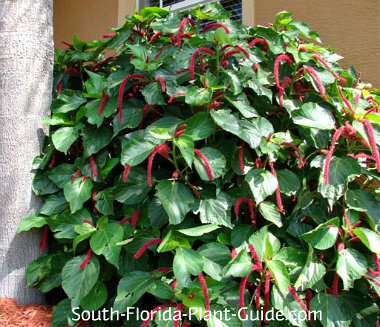 This plant needs regular irrigation to keep it healthy and beautiful. Fertilize 3 times a year - in spring, summer, and autumn - with a good quality granular fertilizer. You can supplement feedings with bloom boosters such as bonemeal and/or liquid fertilizer to promote heavier flowering. Plant 3 feet apart. Come out from the house 2-1/2 or 3 feet. For placing along a walkway, come in 3 or 4 feet. These are excellent plants for large containers. 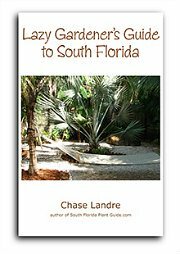 COMPANION PLANT SUGGESTIONS: gardenia, false aralia, azalea, dwarf tibouchina, heliconia, foxtail fern, cordyline, cat's whiskers and hair grass.